I’ve written a mystery series, now a trilogy plus bonus novella. I was first called to the genre in 2008, when I interviewed leading mystery writers JA Jance, Elizabeth George, and Jayne Ann Krentz for a cover story for Seattle Woman magazine. That rekindled a love for the genre that academia had beat out of me! I’m also a poet, with a published collection called Broom of Anger. I’ve just released the Dreamslippers Series boxed set, available as an ebook everywhere. It includes all three full-length novels as well as a novella. The series centers on the question, What if you could slip into the dreams of a killer? This family of private investigators can, but it isn’t easy. Most of my sales come from word-of-mouth. I’ve done author appearances at Seattle University and the University of Florida, and I have one upcoming next month at Ferris University. I speak at conferences as well, and I’ve done book signings at local venues. Other than that, I’m on all of the social media platforms and post to them regularly. I also post to my blog every week, and I send out a newsletter once or twice a month to my 500+ followers. Readers get the first book in the series free for signing up. The first two books in the Dreamslippers Series are available in paperback, audiobook, and of course ebook. Readers can get book three in paperback or ebook. The boxed set is ebook-only. The poetry collection is ebook and paperback. All buy links are here. Lately I’m grooving on Gillian Flynn—I’ve read all her books and actually liked Dark Places more than Gone Girl—as well as Paula Hawkins and Tana French. But French is my favorite of the three. Be careful about what feedback you listen to—not everyone has your vision in mind. Keep plugging along if this is what you really want to do and you think you have the knack for it. Rejection is a guaranteed part of the process for every writer. Often misunderstood, the quote is about making something your own, not just trying on another author’s style temporarily. That’s just mimicry. I feel like a lot of writers—especially men—are jumping on the current ‘girl’ bandwagon as mimics right now instead of really stealing the show. Having a talent that can be highly marketable and in demand in some areas—such as video-games for me—and possessing the “power of the pen.” I’ve used my writing skill to construct legal arguments and fight for political causes, too. My web site—of course! It’s not static; there’s new content every week: www.lisa-brunette.com. From there you’ll find links to my Facebook page, Twitter, etc. Readers can also follow me through Amazon and connect with me via Goodreads. Everyone’s favorite character from the Dreamslippers Series is Amazing Grace. It’s easy to see why: She’s what we all want to be when we grow up! At 77, she dresses in a classic, fashionable way, takes attractive, interesting lovers, and has as rich a social life as a spiritual one. She’s that older woman who’s blazed her own path and is fully in command of her decisions and passions. 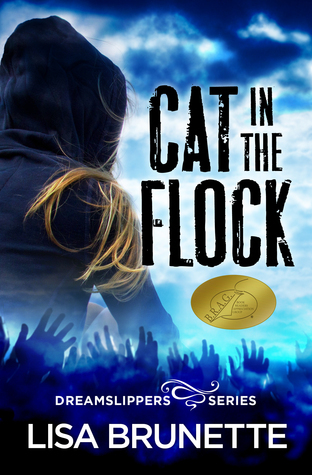 Cat in the Flock is the first book in the series, and it’s currently trending at 4.5 stars on 65 Amazon reviews. I haven’t had the marketing budget to get a lot of eyes on the book, so that achievement happened organically, from mostly readers who don’t know me taking a chance on the book. From the comments, what surfaces is that they value the strong character relationships wedded to a page-turning plot. That first novel took two years, all done around a very demanding full-time job. I used most of my weekends and all of my vacation time for writing. A very talented pro in Canada, Monika Younger. She has designed covers for the Harlequin mystery lines for years. She’s a perfect fit for my romantic suspense series. The biggest thing I learned writing Cat in the Flock was the difference between a mystery story that works for a game and what works for a novel. I’d spent five years teaching developers how to create mystery game stories, and in those, whodunit has to be a more obvious, and you can’t have too many layers of story, or players lose track of it while playing all the puzzles and other interactions. But in a novel, multiple twists and turns are the only play, they are essentially the puzzle readers come to the book to figure out. So you have to hide much more, especially in a whodunit. It’s a delicate balance that I believe I achieved in the second novel, Framed and Burning. My books are available through Amazon, Barnes & Noble, Kobo, iTunes, the iBookstore, Smashwords, CreateSpace, and iTunes, as well as through your local library via Overdrive. You can also get any bookstore to order paperback copies. My local bookstore here in Chehalis, WA, keeps all of my books on stock in paperback, too. 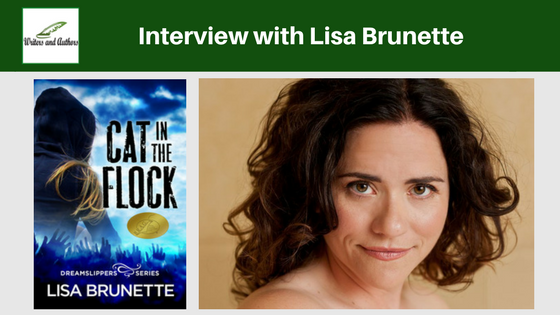 To me, marketing and promotion are the same thing, but in addition to what I mentioned above, I’ve also run a few blog tours like this one through Partners in Crime. I tried blog tours with my second and third books, and I liked the interaction with bloggers and readers even if the sales boost was modest if anything, so I decided to backtrack and do one for Cat in the Flock. Selling books is hands-down the hardest, most frustrating part of this process, and it’s only become more difficult in the three years since I released the first book. Right now, Shonda Rhimes, the creator of Grey’s Anatomy and Scandal, among other screenwriting projects. I love the way she gives you a villain and then turns him or her into a victim before your very eyes. She’s a great model for me in how to grow beyond straight villains, to learn to be sympathetic to them as a writer without letting them off the hook for their transgressions. First off, I don’t write about a place I’ve never been. Place is important to me, and I feel the need to inhabit it before attempting to render it on the page. Even though I love Grey’s Anatomy, for example, it bugged me to no end that they kept showing heavy rain and lightning in Seattle. Seattle’s rain is a subtle drizzle most of the time, and there’s almost never thunder or lightning. This is such a bad problem on TV that I routinely refer to these depictions as “TV Seattle rain.” I had the same problem with The Missing. I wish someone would tell Hollywood to get a clue! OK, that was a bit of a tangent. There are limits. I haven’t been undercover in a fundamentalist church or a cult, both of which I’ve written about, but I interviewed someone who has (my husband, so lots and lots of ‘interviews’ over many years!). I recently presented at a conference alongside a group of women writers, all of us sharing examples of journalistic interviews and research we’ve done that supported our book projects in this way. I’m in the early stages of a stand-alone novel based on an actual news report for an alleged murder committed in a neighboring town. A woman called 911 to report that she shot her husband in self-defense. At first, it looked like the evidence supported her claim, since both spouses’ guns were out. But then things began to look fishy. The husband was shot in the back, and someone cleaned the crime scene, even going so far as to spackle over a bullet hole in the wall. I’m riveted by this. How does a woman with no priors or history of mental illness get to this point? That’s the question I’m attempting to answer in the novel. My understanding is that the self-publishing bubble has now officially burst. This is something I’ve heard from industry insiders, both in self-publishing and the traditional world. It’s exceptionally hard either way for writers to make a living solely on their fiction, though. Very few do; it’s kind of the 80/20 rule. So just think about that: Maybe eighty percent of the writers you’ve read have to rely on a source of income outside their novels. Mine is the writing I do in games and journalism. This means committing to a life of working far more than 40 hours per week, which takes a toll on a person’s health, which explains my side obsessions with yoga and dance! As a child, as soon as I clued in to the fact that the stories I read had been written by authors, and that being an author was a vocation one could pick in life, I felt inspired to do that. It wasn’t one particular author but just the concept that a person could devote herself to creating worlds with words. Writers often say the people closest to them don’t read their work, and that’s been the case with me as well, with the exception of my husband, who’s my cheerleader. I don’t really expect a lot from family and friends, though, because I get it. I think what happens is that you can’t separate the person you know so well from the writing. As my sister said, “It’s like I can hear your voice in my head as I’m reading.” This is why our best readers are probably perfect strangers. Up next is Megan Abbott’s You Will Know Me and then Sophie Hannah’s Kind of Cruel. I have a BA in English and an MFA in writing, so my early adult influences come from academia, a sort of eclectic list: Toni Morrison, Jamaica Kincaid, Zora Neale Hurston, Maya Angelou, Raymond Carver, Lorrie Moore, Junot Diaz, Anthony Burgess, Edwidge Danticat, Djuna Barnes, Virginia Woolf, Shakespeare, Coleridge, Keats, Hemingway, Faulkner, Fitzgerald. I’m influenced by genre fiction as well, from writers like Jayne Ann Krentz and JA Jance to the literary suspense writers I favor now. With my husband and stepson. This weekend, we’re visiting family and taking the kid to tour a college he’s thinking of attending in the fall. I read this book so very much enjoyed this in depth interview. Thanks for the thought-provoking questions! I look forward to hearing from your readers.